We couldn't find Stand Builders with workshops in Arequipa, which doesn't mean we can't help you find other companies who could help you. specialist for Arequipa. Contact me if you need a Stand in Arequipa. Over one thousand national and international mining companies get together for EXTEMIN. 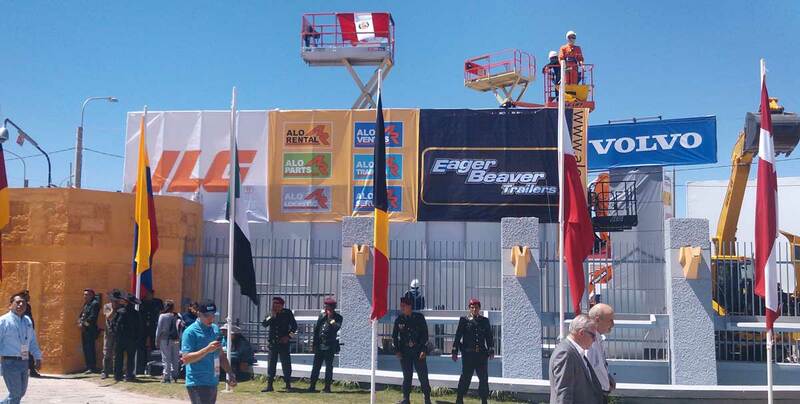 It is one of the leading expos in Latin America which is exclusively dedicated to mining. Offering quality services to continue being on top of the list, they want everything to be just right. We want to show you the right stand designer for you as you wow the rest of the visitors at this show. EXTEMIN has also become a platform to close important transactions between exhibitors and buyers, which means it generates an ideal scenario for business. They have ventured into more ambitious challenges from both sides, as their hard work is seen all throughout their editions. This is the right place for you to be to push your company forward.